Last week I and Christian went to Berlin for a couple of days. We always try to find a tour or a museum where we will learn something new about history. This time we had found a walking tour by Berliner Unterwelten. It was called Dark World and was about experience WW2 bombing raids through the eyes of civilians. It was very, very interesting and the tour guide was so inspiring. 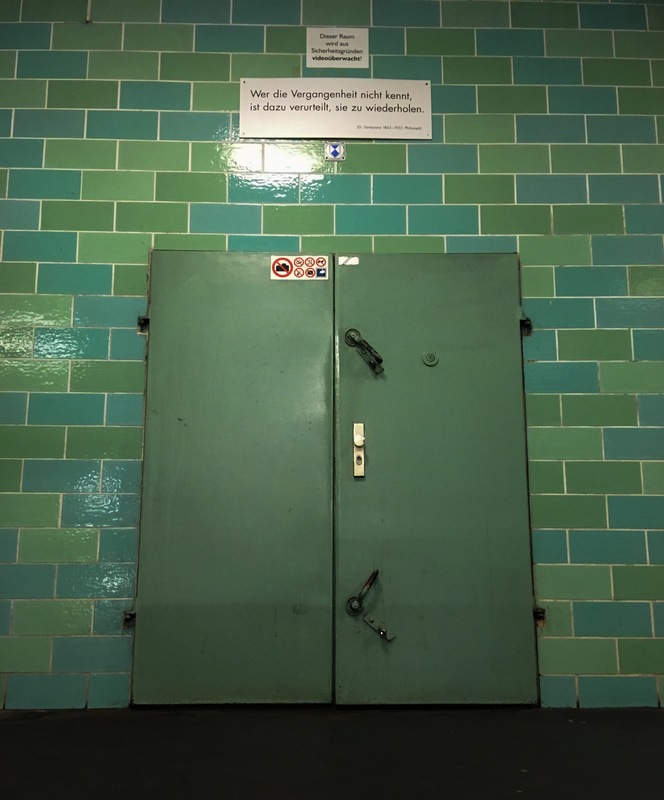 We went trough a door at the Gesundbrunnen subway station and got into the bunkers where people were taking shelter when bombs were dropped over Berlin. We were not allowed to take pictures but there are some great pictures on their homepage. If you go to Berlin and are interested in WW2, I would really like to recommend this tour. 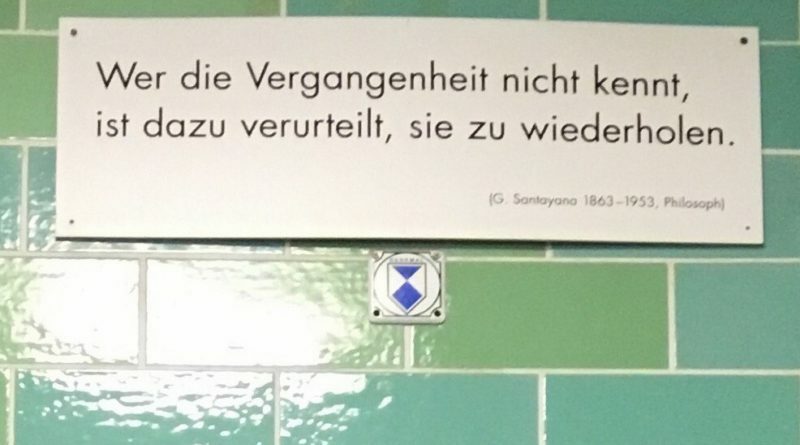 that would translate “Those who do not know the past are doomed to repeat it”. We also made a visit to the Historical Museum where there were so much to look at you almost got overwhelmed. Tonight I will spend time at my local genealogy society listening to a lecture how the school system was implemented here in the area. We will also learn what can be found at the local area concerning this subject, like grades among other records. Wouldn’t it be nice to find your great grandparents grades from school? It will be very interesting. Tomorrow we are hosting a DNA for genealogy-class that we are doing every other week. I noticed there came in a bunch of new matches on my FamilyTreeDNA-kits yesterday and today, so I will be busy the rest of the week looking at those, trying to figure out our common ancestor. In a coulpe of weeks I am going to MyHeritage Live in Oslo, Norway and I am so excited. Looking forward to hear the speakers and hopefully met some listeners of Find Your Swedish Ancestors Podcast.